Knowing the average service life of certain roofing materials allows you to manage your expectations and gives you ample time to prepare for your next roof replacement. To give you an idea of how long you can expect roof materials to last, your preferred roofing contractor Home Pro Exteriors, Inc. talks about the average life span of the most commonly used roofing materials. Asphalt shingles, particularly the three-tab variant, are considered to be the most popular roofing material, especially in North America. Three-tab asphalt shingles strike the perfect balance between affordability, ease of installation and longevity. Standard-manufactured asphalt shingles can last up to 20 years while higher-end variants can last up to 50 years. Wooden shakes, on the other hand, have a life expectancy of up to 30 years in moderate climates. Note that some states do not allow the installation of wooden shingles. As such, it’s best to consult your roofing contractor regarding the use of wooden shakes and shingles. Metal roofs are typically composed of steel, aluminum, or copper and can last for up to 80 years with proper installation and maintenance. Traditionally, metal roofs consisting of simple, corrugated panels fall short in delivering visual impact. Today, metal roof panels come in a variety of choices and can complement almost any architectural style. Metal is one of the best types of roofing materials in terms of versatility and longevity. With a service life that can span up to 100 years or more, you’d be hard-pressed to find roofing materials as durable as slate, concrete, or clay roofing tiles. Tile roofing may very well be the last roofing material you’d have to purchase. Due to their weight, however, tiles are not suitable for steep roofs but perform spectacularly well in areas with high winds. 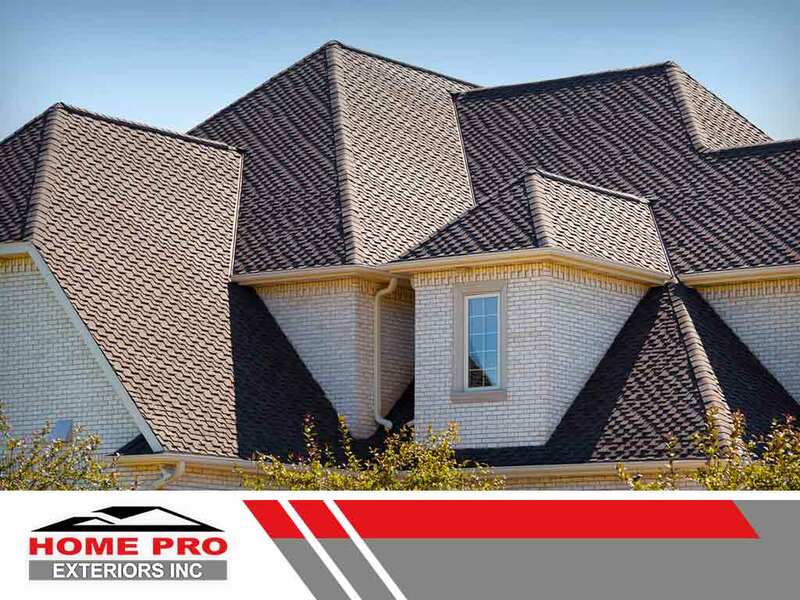 Home Pro Exteriors, Inc. specializes in various home improvement services such as roof installation, window replacement and deck customization, to name a few. We have a highly trained team of professionals who are more than qualified to help you achieve your dream home. Call us today at (845) 747-0035 to schedule an appointment. We serve Newburgh, NY.